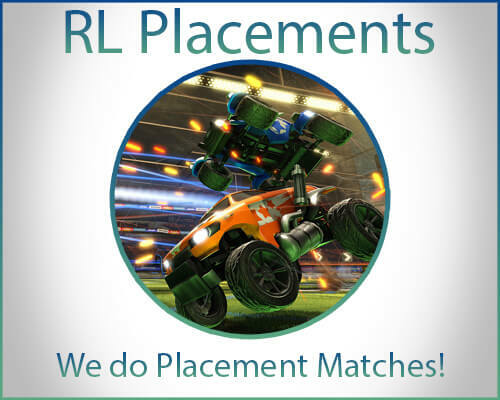 Match placements are important for your future Rocket League rank. Let us help you ensure that you don't end up at the bottom of the ladder. We can guarantee at least 70% win rate if you buy the Solo Queue option. Buying the Duo Queue option will give you a chance to learn from our finest Rocket League boosters while playing with them. Playing with a booster does not require your account details. If we don't achieve 70% win rate during your match placements you will be rewarded with an appropriate amount of net wins (wins in a row) or a rank boost. How fast is my Rocket League placement matches would be started? here. Most orders are usually started within an hour, however it can be longer depending on the time of the day, platform, rank, etc. If you want to know an exact time you can contact us via Live Chat and we will happily provide you with a more accurate time frame. How can I contact you if I got some questions about the boosting process? You can always contact us via Live Chat, which is located at the bottom right of the website. We are always happy to answer any questions you may have about Rocket League match placements, ordering procedure and more! Our Live Chat Support is available 24/7. That's quite ar, you will simply be required to provide a code once the booster is ready to start playing. There is a blue chat box right next to the Live Chat (green) where the booster will contact you and ask you for a code. The blue chat is only visible when you have an order on the website and are logged in. Will the booster talk to my friends? No, we will playing in Offline mode so no one knows that you are online. Are both my Rocket League and Steam inventories safe? Simply put, fast and exactly what I wanted.